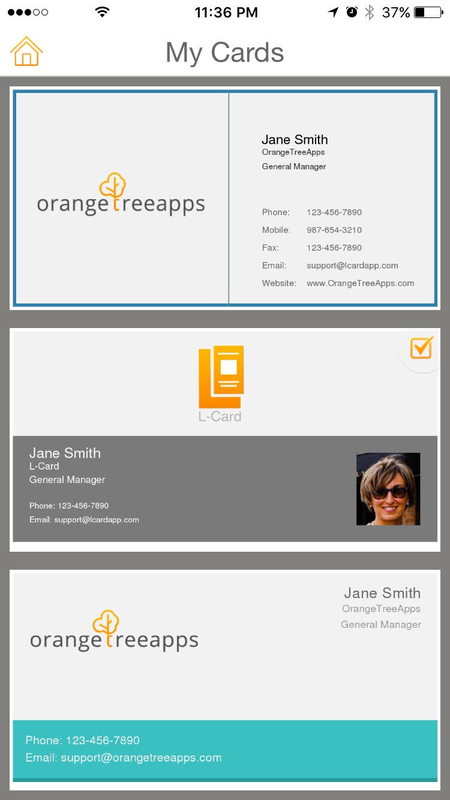 Create a new card using one of the many preloaded L-Card templates. Don’t want to start from scratch? 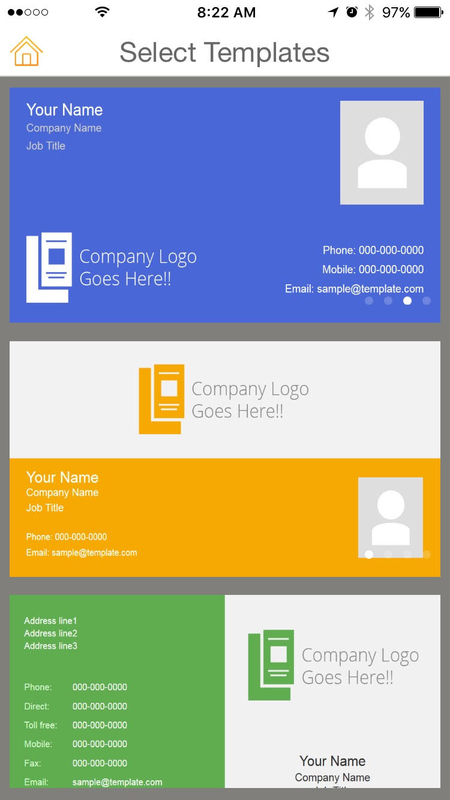 Convert your paper business card into an L-Card with a touch of a button. Gives a hassle free way to switch between your L-cards and select a default card with ease. Allows L-Card users to share cards between each other effectively using either QR code, text, email, social media, and much more. 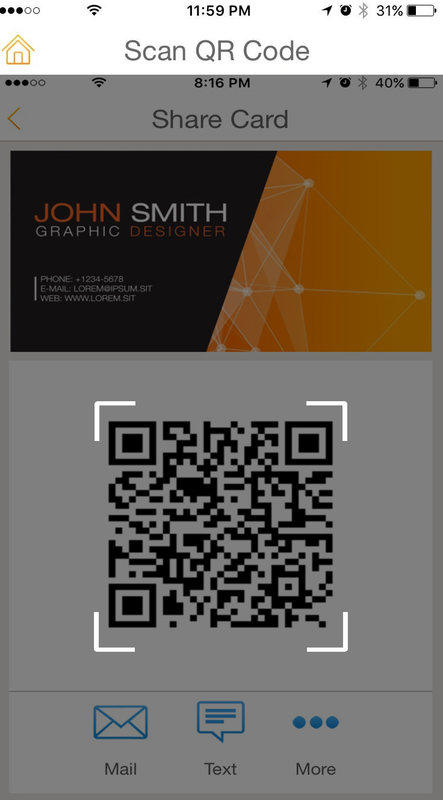 Receive and store L-Cards effortlessly using QR code technology. Sort through scanned L-Cards to find the card you need every time. Have an important L-Card? Favorite it and find it here with a touch of a button. 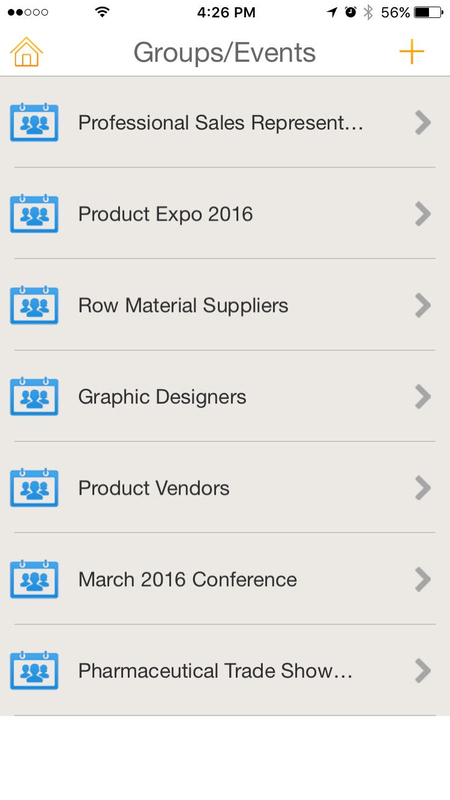 Create folders and categorize L-Cards for your favorite groups and events such as different trade shows, conferences, and much more. 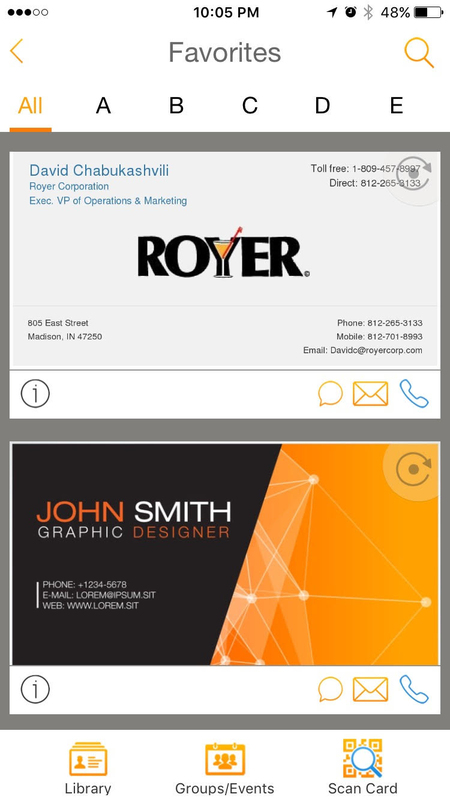 Email once changed the way we handled mail and now L-Card will change the way we handle business cards forever. L-Card is a digital business card which is a great nature friendly alternative to the hard-to-manage paper business cards you currently use. Never misplace business cards again. No more cards on your desk, or in your wallet. You will be able to share, receive and store other peoples L-Cards, and even go a step further and categorize them to fit your needs. No more forgetting or running out of business cards when you need them the most. 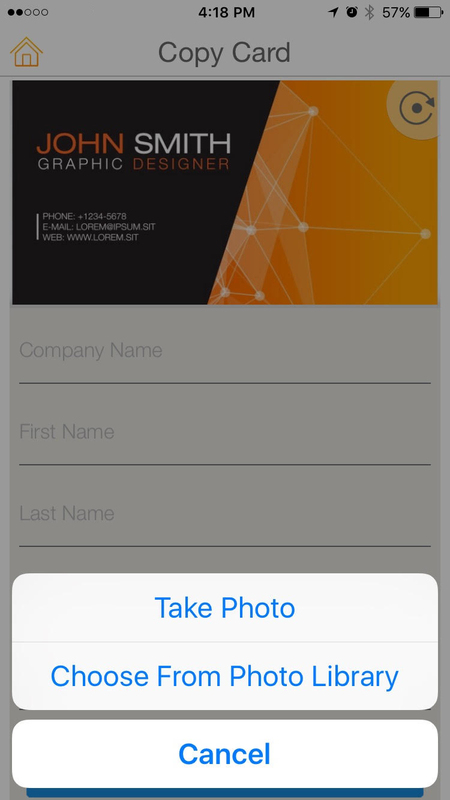 The L-Card Signature, a Patent Pending feature of the L-Card mobile application, completely revolutionizes your business card exchange experience. Want to share your cards at conferences and trade shows? No Problem. The Card Listing feature on your tablet will allow you to list cards of your choice for participants to scan and collect. No more carrying stacks of paper business cards to those events. 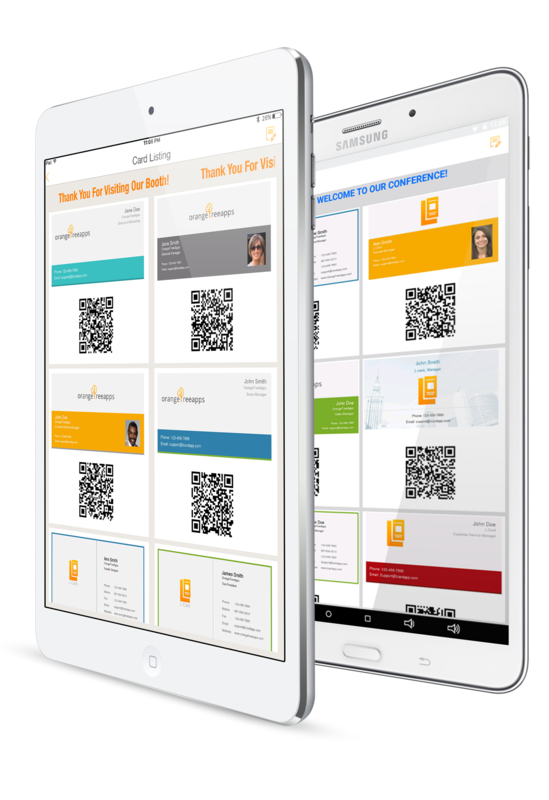 L-Card allows you to add an eye-catching moving headline to the card listing screen on tablets, effectively advertising the event you host or attend. L-Card is not only for the tech savvy. 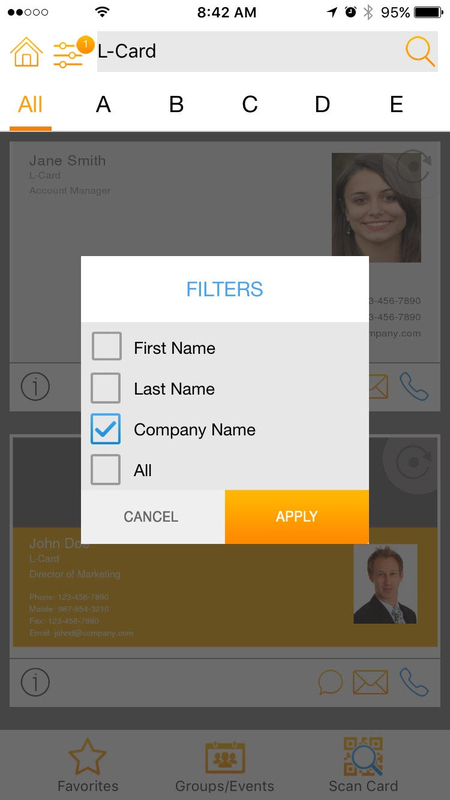 The application’s exceptionally simple design makes it easily managed by everyone. We highly respect users right for privacy. We don't require you to disclose any private information except your name and e-mail address. No registration or sign up on our website is needed. 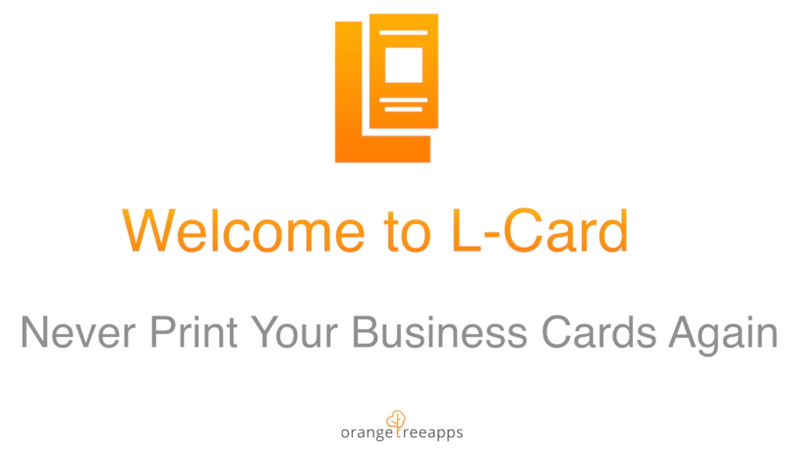 L-Card is an extremely helpful & easy to use app that has allowed me to get rid of the mountains of unorganized business cards on my desk. 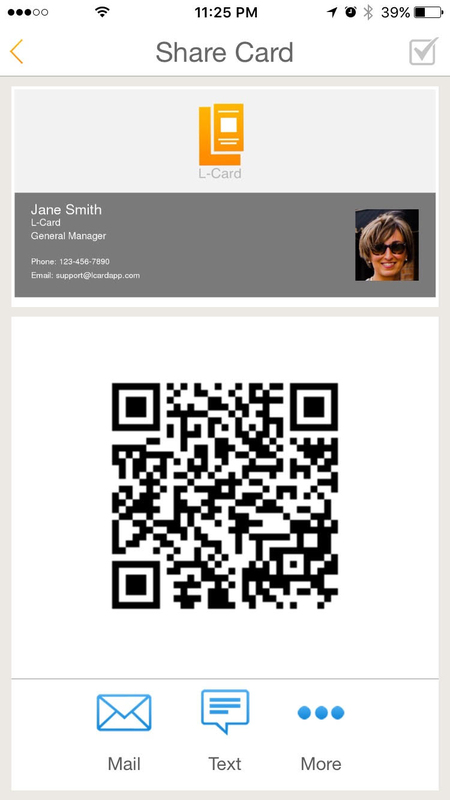 My card is available with a simple swipe on the iPhone& organizing conversations with clients is a breeze.Love it! This app is simple and easy to use.Make a business run smoother. Gonna tell all my clients to test it out. It's simple easy and very user friendly... great experience..!!! L-card is very handy for me as a business owner. We are a service industry and do a lot of sales, I constantly am collecting new business cards and have them piled up in every drawer of my office and sitting on dressers at my home. The convenience of collecting all these cards and storing them on an online searchable app is absolutely wonderful. I don't want these business contactsin my phone contact list but now I have a place to store them digitally and access them whenever and whereever I need them. Just gotta say that this way of sharing my contact with other folks in my fieldhas saved me a lot of hassle. Definitely easy to use. Definitely will be using this instead of business cards. Looking forward to receiving these from people I work with in the future! All features are included in each plan. No fine prints, No exceptions. OrangeTreeApps was founded in Madison, Indiana by the team of success driven individuals who came together to create products people need. We can all agree that smartphones and tablets have completely changed our daily life. Sometimes it looks like we can’t function without them. There are over 3 million mobile apps on the market just between Apple App Store and Google Play. Unfortunately studies show that 90% of all downloaded apps are used only once and then eventually deleted by users. Talk about pressure for developers! We believe that the main reasons behind the short longevity of many mobile applications are their poor functionality, high complexity and the limited value users receive. We, as a team at OrangeTreeApps have one single mission... Only build mobile applications which are very creative, highly reliable, exceptionally simple to use and most importantly, bring real value to our users. Your complete satisfaction is the key for our success. Please check out our work and let us know what you think. We will always appreciate your feedback. We want you to believe in Orange, the color of joy and creativity! © Orangetreeapps, All rights reserved. These Terms of Service apply to all users of the Service, including users who are also contributors of Content on the Service. “Content��? includes the text, software, scripts, graphics, photos, sounds, music, videos, audiovisual combinations, interactive features and other materials you may view on, access through, or contribute to the Service. The Service includes all aspects of Company, including but is not limited to all apps, products, software and services offered by Company. Content is provided to you AS IS. You may access Content for your informational and personal use solely as intended through the provided functionality of the Service and as permitted under these Terms of Service. You shall not download any Content unless you see a “download��? or similar link displayed by Company on the Service for that Content. You shall not copy, reproduce, distribute, transmit, broadcast, display, sell, license, or otherwise exploit any Content for any other purpose without the prior written consent of Company or the respective licensors of the Content. Company and its licensors reserve all rights not expressly granted in and to the Service and the Content. Company’s designated Copyright Agent to receive notifications of claimed infringement is David Chabukashvili, Address: 501 Miles Ridge Road, Madison, IN 47250. 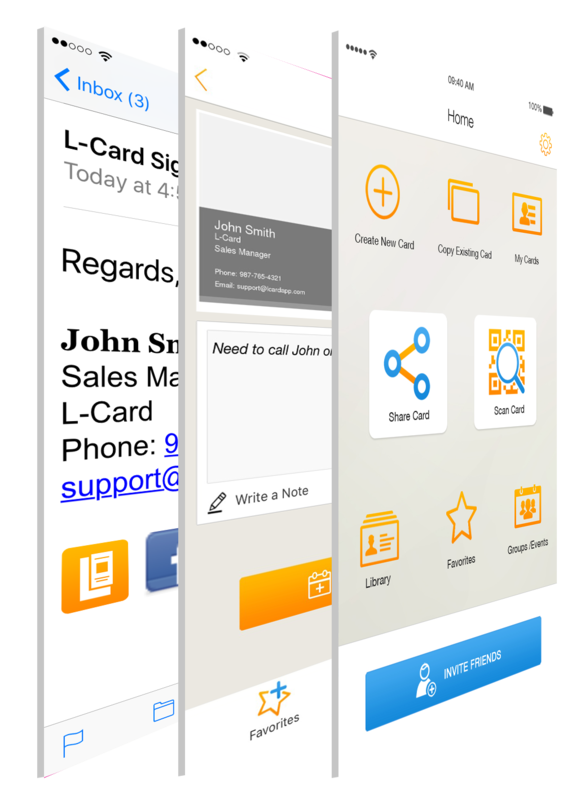 Phone: 812-265-3611, Email: support@l-cardapp.com. For clarity, only DMCA notices should go to the Copyright Agent; any other feedback, comments, requests for technical support, and other communications should be directed to Company’s customer service through its website. You acknowledge that if you fail to comply with all of the requirements of this Section 5(D), your DMCA notice may not be valid.